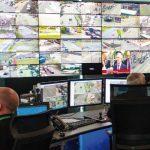 Since years video surveillance or CCTV – close circuit television – demonstrates its essential role within security operations. It represents the witness for everything that is happening in any location where a CCTV camera is in function no matter if there is night or day, manned or unmanned facility and provides live images or just playbacks the recorded footage. You Are Here: alfrednet · Video Surveillance, analog or IP?